Yesterday I walked out to our mailbox and found not one Christmas card. I know it's not that our family has suddenly become unpopular - at least not judging from our email boxes, or our Facebook friends. 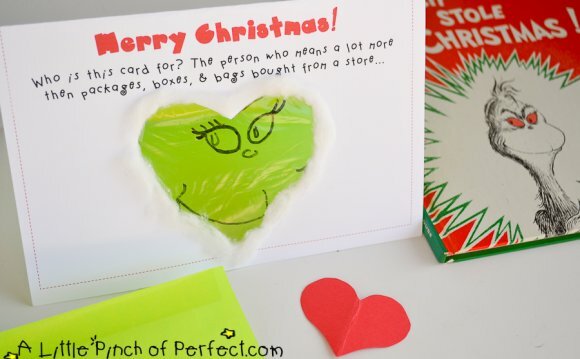 It's that real old-fashioned cards with handwritten notes are a ghost of the Christmas past. And maybe that's what it takes before all the Whos in Whoville come to their senses. Only when something becomes obsolete, it seems, can we begin to truly appreciate it - think of candles, or wooden boats, or homemade bread. Today it's handwritten notes, including holiday cards, that are now archaic. But it's time to bring these notes back lovingly into our lives. Your own handwritten notes, sealed inside hand-addressed envelopes, have the power to impress, or to caress, in a way no other form of communication can. I interviewed all the Whos, including little Cindy Lou Who, and they suggested these six tips. Tip No. 1: Don't fret about your handwriting. Really. It's fine. You don't even have to actually write: printing is just fine. (It's all I do and people tell me they like my handwriting.) Beautiful cursive handwriting, which some people still have, is a lovely thing. But it's kind of like the ability to make your own flaky pie crusts or saw fine dovetail joints in your woodshop - nice, but not necessary. That said, you might try slowing down a bit when writing with your pen and see if you like the result. Type fast, text fast, but when writing by hand to friends or lovers, slow down. Relish the pensive pause. Tip No. 2: Keep it short - for your sake and theirs. Just a few lines can make someone's day. Think of text messaging and Twitter, and how much you can convey in a few words and symbols. To free your mind further, here's a bonus fact from the dusty pages of writing etiquette: it's bad form to write on the back of a card - use just the front. We sell lots of nice pens and cards at Levenger, and if you like using fine pens, I like you already. It does add to the pleasure (see tip #5). But the bald truth is: you don't need fancy stuff. Don't let a lack of pleasing pens and decent stationery be any barrier to writing. Use whatever's handy. Tip No. 4: Use relaxed, conversational language-write as you speak. Unless you're applying for a job as copy editor, take some chances with sentence construction. You won't be graded. Write like you speak (not "as you speak"). Tip No. 5: Make it a habit by making it a ritual. One of the nice things about coffee is the ritual of it-the stirring, the sipping, the cradling of mug in hand. Writing by hand can be much the same. And here is where having a favorite pen and stationery at the ready can help invite you to a task you want to do. I know some people who set aside a few minutes each afternoon to turn from their screens and take up pen and stationery to write a few notes to customers, friends, or colleagues. We humans love rituals, and this is one that's rewarding for everyone involved.